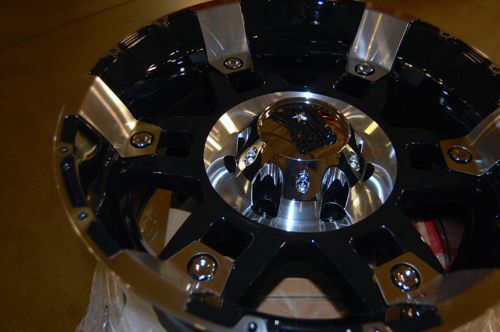 No custom truck is complete without a wheel upgrade. If you’re considering putting new wheels on your Tacoma, you’ll need to remove the Tire Pressure Monitoring System (TMPS) and reinstall it on the new wheels. Without it, you’ll be staring at an obnoxious warning light on your dash. 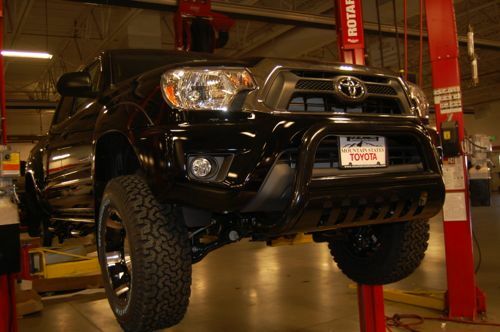 Recently, Mountain States Toyota invited us behind the scenes as they transformed a stock 2012 Tacoma SRS into a lifted, decked-out beauty. As part of their transformation, they replaced the stock 16” wheels with KMC 17” XD-Series wheels . Here’s a look at how to remove the TPMS sensor from your existing wheels and install it on your upgraded wheels. If your Tacoma came with stock styled-steel wheels, the TPMS sensors are not compatible with Toyota allow wheels and visa versa. 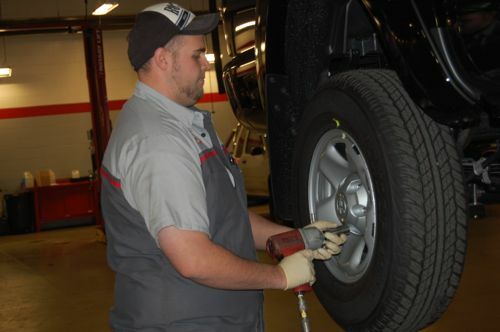 Some aftermarket rims will maintain compatibility, but because Toyota steel wheels use a 40 degree sensor and Toyota alloy wheels use 20 degree sensors, they are not interchangeable. Do your research before purchasing. The 17” KMC Spy Gloss Black Machined wheels used by Mountain States Toyota were compatible with the original sensors. If you change your TPMS sensors from what originally came on your truck, you will need to reprogram the system to recognize the new sensors. Most dealerships will charge for the service– usually around $100. Many tire shops carry the necessary equipment to program your TPMS system and may charge less, so call around before handing over your credit card. Note that it’s best to keep your original wheels. Theft does happen and you’re better off having an emergency back up than having fork out money for replacement wheels. Step 1: Raise the vehicle and remove the tires. Step 2: Unscrew the valve stem and allow the air to release. Step 3: Remove the tire from the wheel. Max Fortarel, our technician, used a pneumatic press. 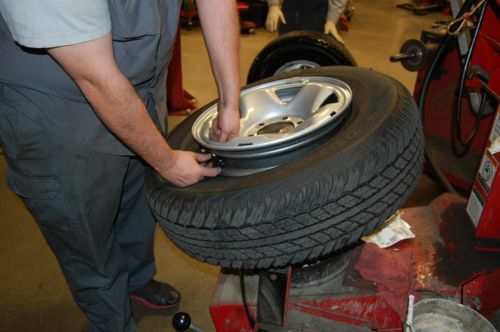 While the internet is full of DIY techniques on how to remove your tire from the wheel, you’re best bringing it to a dealership or tire shop to ensure you won’t damage the wheel or tire. Step 4: Unscrew the TPMS sensor from the from the back of the valve stem. 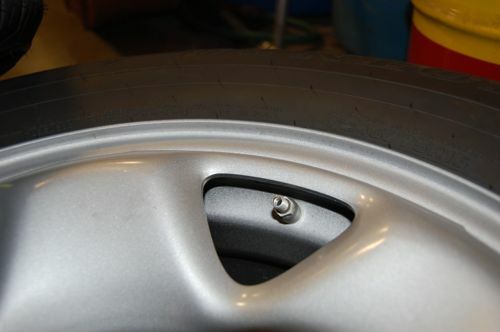 Step 5: Screw the TPMS sensor on the back of the tire value on your new wheels. 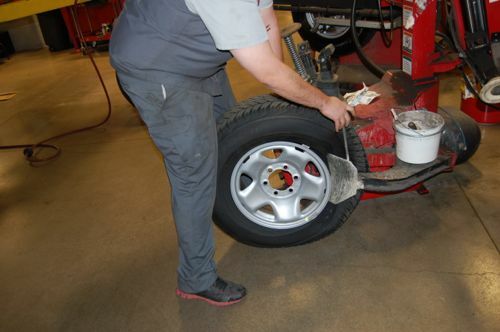 Step 6: Apply tire soap to the inside of the tires. This will help create a better seal and making setting your tire bead on the new wheels easier. 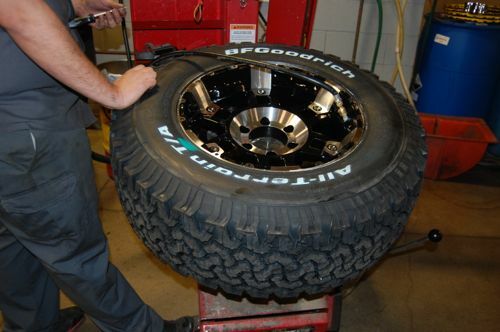 Step 7: Set your tire bead to the new wheel. You can attempt doing this yourself using an air compressor, but the processor may be more tedious than it’s worth if you’re inexperienced. Once again, the internet full of tricks about how to set your tire. While yes, you could set your tire bead using fire, you could also set your tire on fire. This will smell awful and potentially ruin a perfectly good tire. Bring your wheels and tires to the shop to have it done properly. Step 8: Inflate your tires to the recommended optimal pressure found in your owner’s manual. (Note that the tire pressure found inside your driver’s side door is the maximum recommended pressure and not the same as optimal pressure.) Mount your new wheels and enjoy. 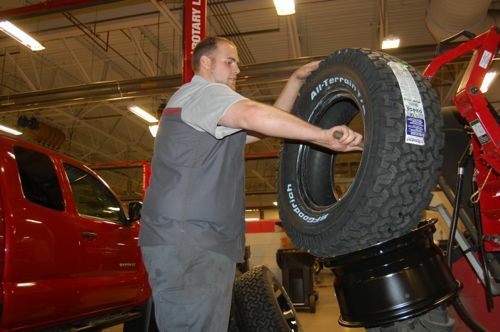 If you don’t have the equipment to properly remove and mount your tires, you’re better off paying your local tire shop. 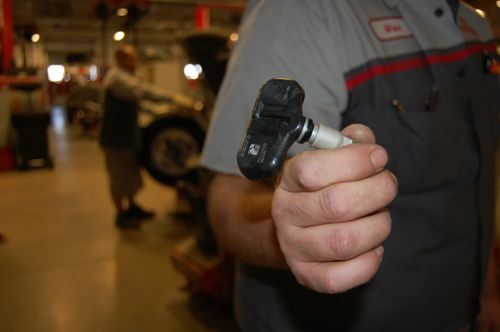 Removing and reinstalling the TPMS sensor is an extra five minutes of work for a trained technician. Trying to set and mount your own tires without the proper equipment? Not worth the headache– or the singed eyebrows.